BIRMINGHAM, Ala. – For his good work off of the court, sophomore Josh Bortnick has been named to the Southeastern Conference Community Service Team, as announced by the league office Wednesday morning. 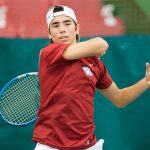 The Mission Hills, Kansas native has volunteered his time in numerous projects this fall and winter, including assisting at an elementary school tennis camp, as well as a charity tennis event in Fort Smith, Ark. 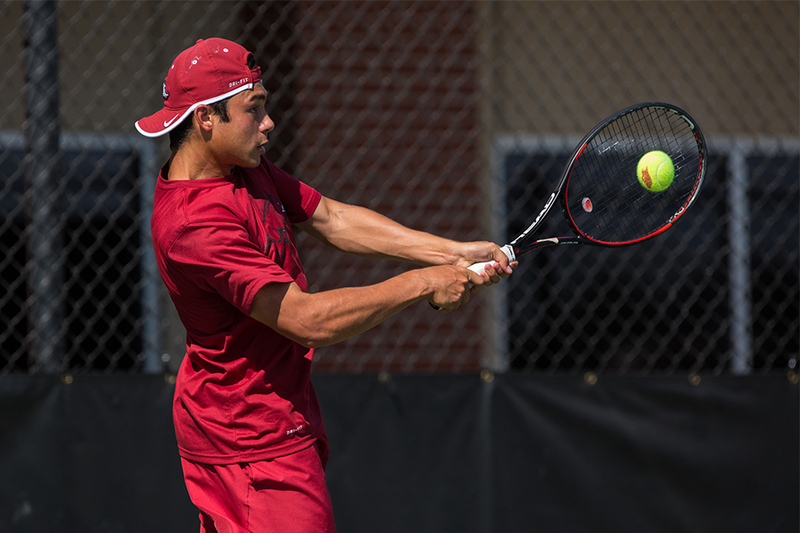 In November, Josh helped with the Kids Day Tennis Camp and worked with ‘Shop with the Razorbacks’ in early December. The sophomore is 2-1 in dual matches this season, winning a pair of two set contests against John Paul McKenzie (Saint Louis) and Junius Ross (UAPB). Bortnick is majoring in business at the University of Arkansas. Bortnick and the Razorbacks will return to the court this Thursday and Saturday. Arkansas is scheduled to play its final regular season road match against Alabama this Thursday at 6 p.m before returning home to host Auburn at 1 p.m. Saturday for senior day.